Thessaloniki is accessible by train, airplane and bus. Built 15 km southeast of the city center, Thessaloniki airport is the second busiest in Greece serving, apart from Thessaloniki, popular destinations like Halkidiki and Katerini. Every day he receives dozens of flights from the rest of Greece as well as from many foreign cities. The port of Thessaloniki connects Northern Greece with many popular Greek islands. 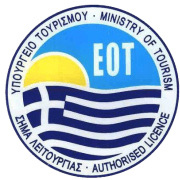 Although there is no direct route to the port of Piraeus, there are routes to Crete, Rhodes and Skiathos. In recent years the port has seen a significant increase in cruise ship arrivals. Through Thessaloniki KTEL Station the city of Thessaloniki is connected with dozens of cities in the rest of Greece as well as with cities abroad such as Istanbul and Tirana. The railway station is the largest railway station nationwide and one of the largest in the Balkans. It is the central passenger station of Thessaloniki for all passenger trains. Every day it runs to four destinations Athens-Alexandroupolis-Skopje-Bitola, every line has several stops. With more than 70 available vehicles, AlphaDrive is able to fully meet your car rental needs in Thessaloniki. For your better service, we are able to pick up your vehicle on arrival at either the airport, the port, the train or bus station in Thessaloniki.